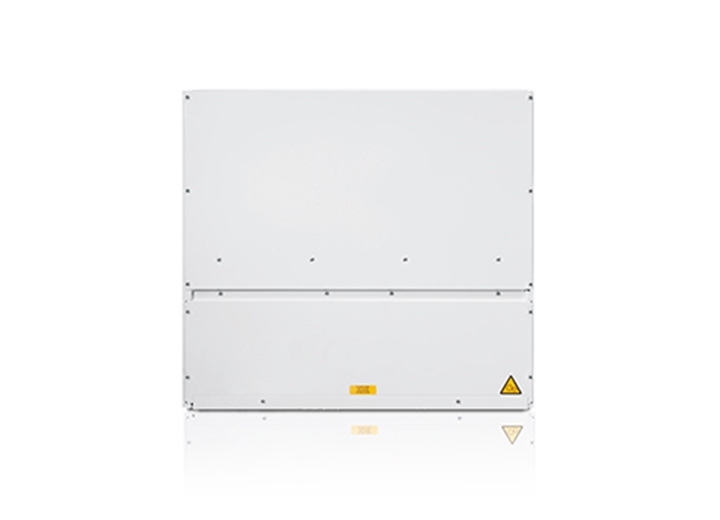 The Condair DP-W range is an in-room wall-mounted dehumidifier. With an attractive design, the models in this range can extract between 49 to 190 litres per day (@30°C/80%RH). 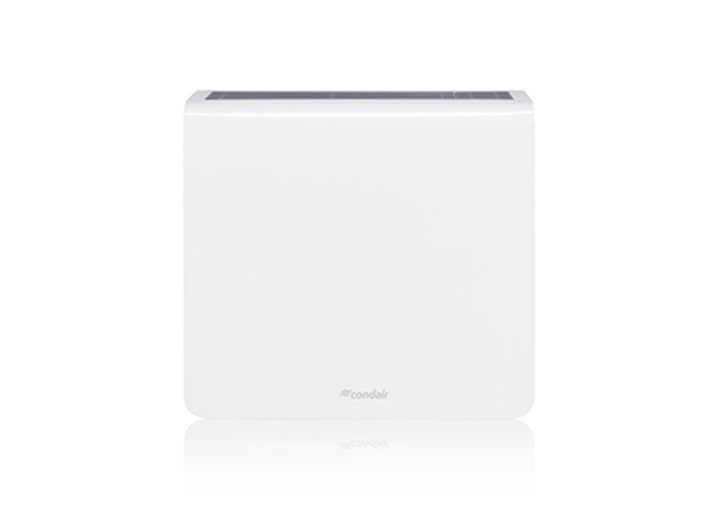 The Condair DP-R is a wall-mounted swimming pool dehumidifier that is located in an adjacent room. It dries circulating air from the swimming pool area via ducting. Capacities range from 49 to 190 litres per day (@30°C/80%RH). 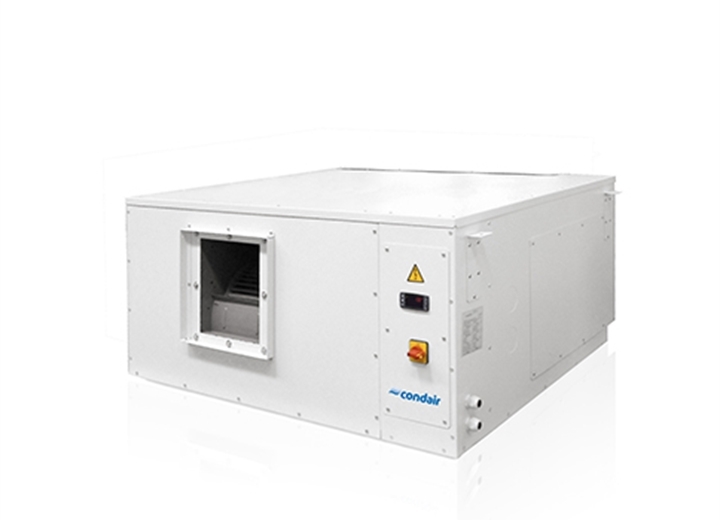 The Condair DP-C is a ceiling-mounted swimming pool dehumidifier that can be located above a suspended ceiling system. The unit incorporates a heat recovery system that can be used to contribute to pool water heating. Capacties range from 49-190 litres per day (@30°C/80%RH). 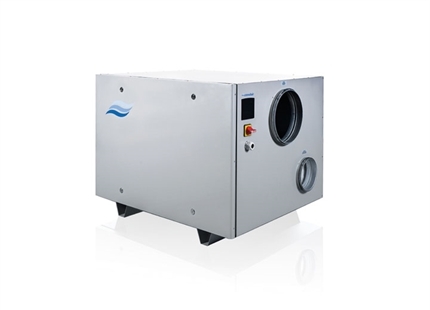 The Condair DP 75-950 is a range of swimming pool dehumidifiers that is remotely located in a plant or utility room. It can introduce fresh air to the pool area and incorporates a heat recovery system that can contribute to heating the air or pool water. Capacities range from 73 to 940 litres per day (@30°C/80%RH). 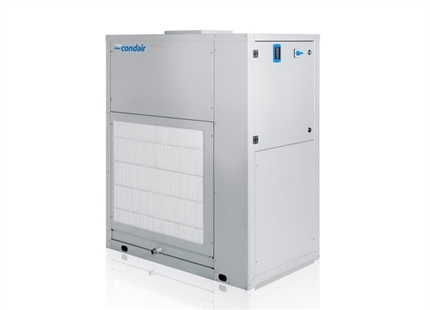 The Condair DP-HE is a large dehumidification system for commercial swimming pools that can also vent and introduce fresh air. It incorporates heat recovery systems to prevent energy waste and contribute to air or pool water heating. Capacities range from 133 to 565 litres per day (@30°C/80%RH). 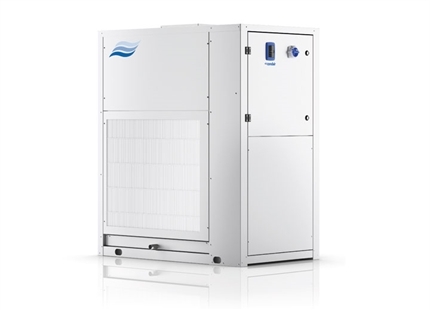 The Condair DP range of swimming pool dehumidifier offers a comprehensive choice for small to large commercial pools. All incorporate condensing technology and heat recovery systems to provide energy efficient operation. In-room units are attractively designed and wall-mounted. They draw moist air in at the bottom and release dry air out of the top. A similar range is available to be located in an adjacent room. Air is drawn from the pool area via ducting, dried by the dehumidifier and then supplied back to the room. Ceiling mounted units can be located above a suspended ceiling system or left exposed if floor or wall space is not available in the pool or utility area. 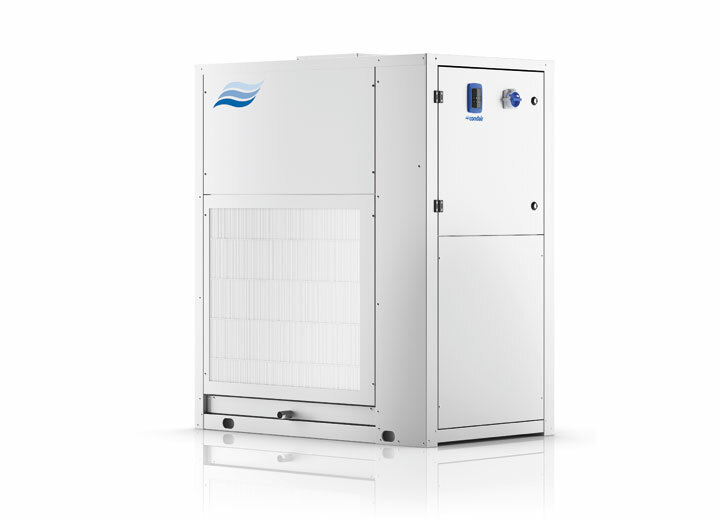 Floor standing systems offer high performance dehumidification as well as electric heating options that can replace the need for other space heating. 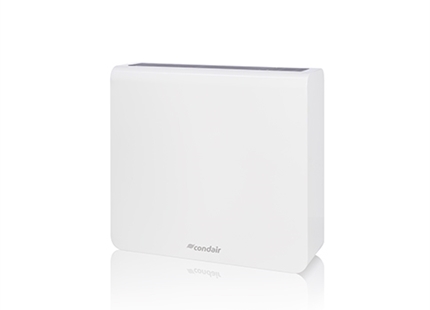 These can also introduce fresh air from outside as well as vent exhaust air. Heat recovery systems maximise energy efficiency and can recover heat from the room or the dehumidification process back to the supply air. Alternatively it can be used to heat the pool water. A wide range of standard options are offered across the ranges to meet the requirements of any indoor pool area. Custom-made designs are also available upon request. 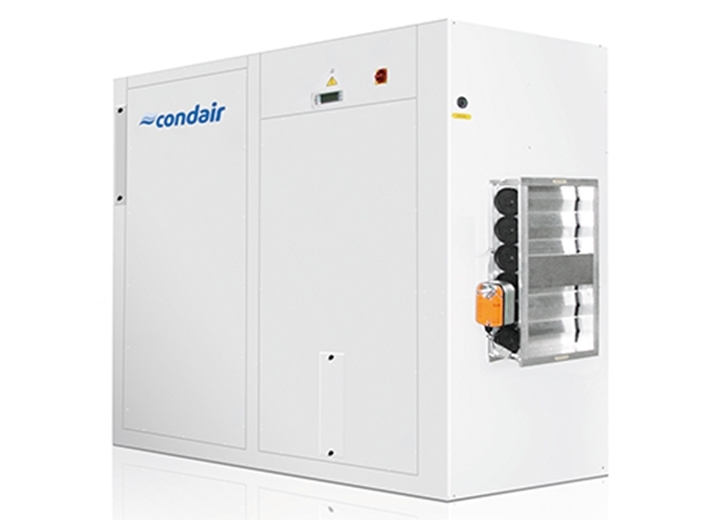 The Condair DC-LT dehumidifier is effective at temperatures as low as 10°C. Regular condensing dehumidifiers are most effective at above 15°C.